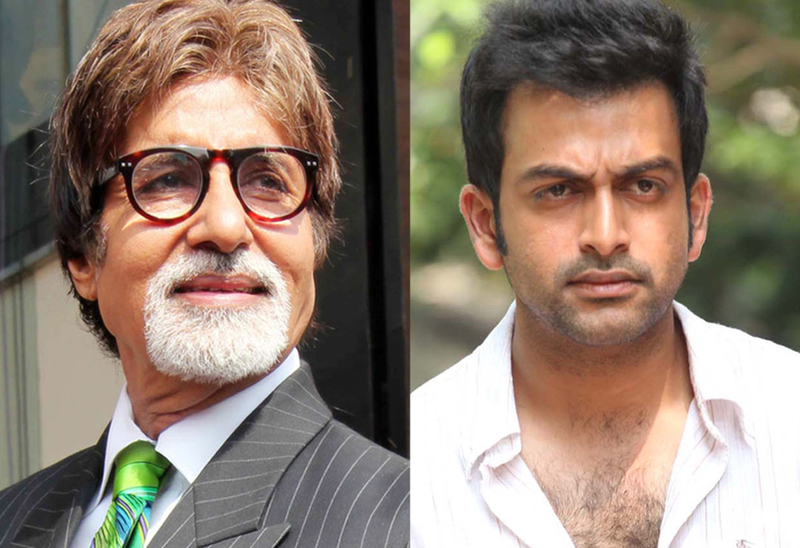 Prithviraj acting with Amitabh Bachchan for Ayalum Njanum Thammil Malayalam movie remake? Prithviraj made his Bollywood debut with “Aiyya”. Now, he is set to woo the audience with his next Hindi flick, Arjun Kapoor’s Aurangzeb, which is being produced under the Yash Raj banner. He has certainly found a strong hold in Bollywood. The latest rumor is that Prithviraj is going to be approaching Amitabh Bachchan with a new film script- a script that has been adapted from the Malayalam “Ayalum Njanum Thammil”. The film has been directed by Lal Jose, and it starred Prithviraj in the lead. The movie was initially a large hit. Prithviraj has already bought the rights of the movie and now he is planning on remaking the movie in Bollywood, with Big B starring in the lead. This is the first step Prithviraj is going to be taking in this project. He is said to be glad that he bought the rights to the movie and he expects to attract a lot of interested parties soon. He wants to get an English version of the draft made, so that he can take it to Big B for a read through. Ayalum Njanum Thammil is a medical drama, and hopefully Mr Amitabh Bachchan will get on with the project. We wish Prithviraj all the best. Prithviraj to direct Hindi movie? Prithviraj, Fahad Fazil, Indrajith coming together in a Kalyanam Movie! Fahad Fazil, Prithviraj coming together? Oru Yakshy Kadha malayalam movie – A surprising thriller?